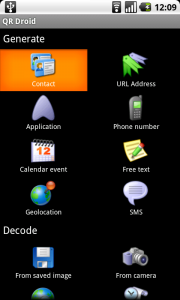 Another person with a QR-powered device scans your screen and it’s done!! 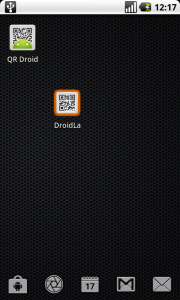 QR Droid allows you to create a shortcut in your Home screen for any QR Code saved in history. Every QR you scan, decode or create is automatically saved in history. 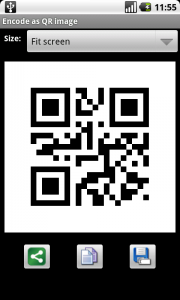 So, first thing you must do is to create or scan a QR Code with information you want to share. In this example, we will share our contact data, which is saved as a Contact in our device. Once you’re done, click top-right button to create QR Code you want to share. 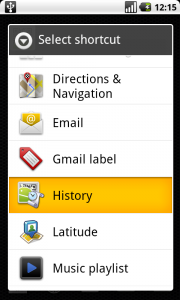 Now, this QR Code has been automatically saved to your history. 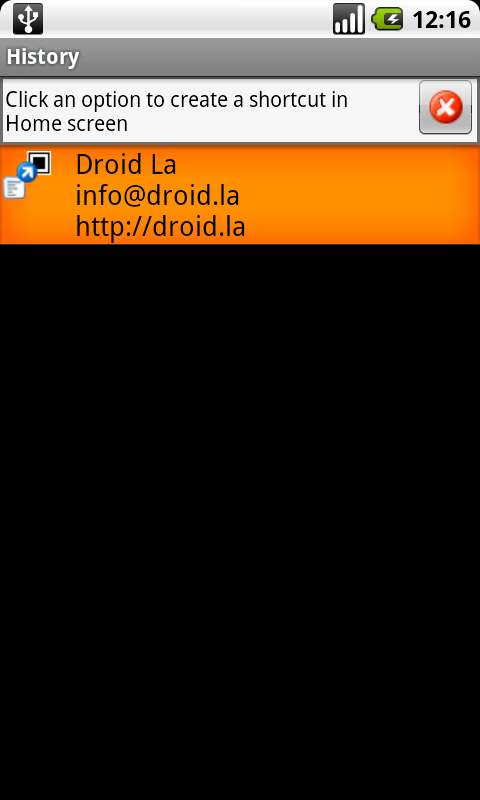 Let’s exit QR Droid now. 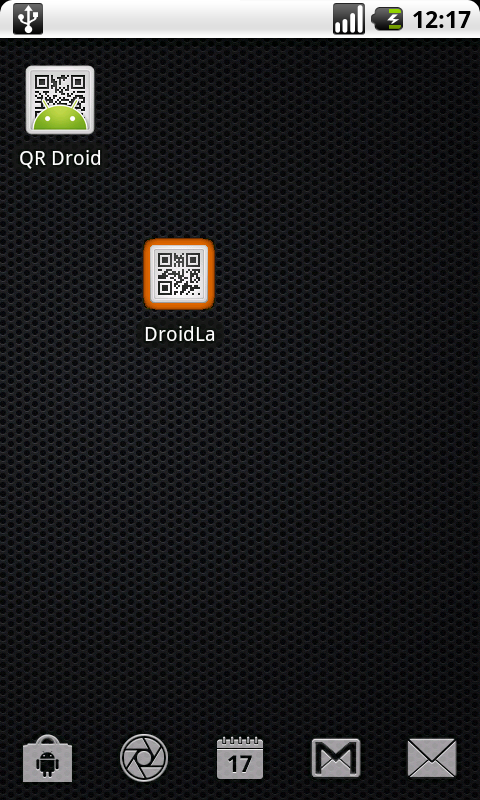 QR Droid History will be launched. Click item you just created, which must be on top. Done! Now, you have your single-click contact. 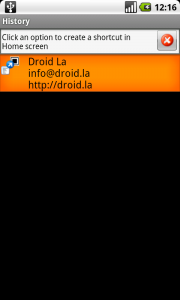 Just click it once and share anything optically! Located your web blog through AOL. 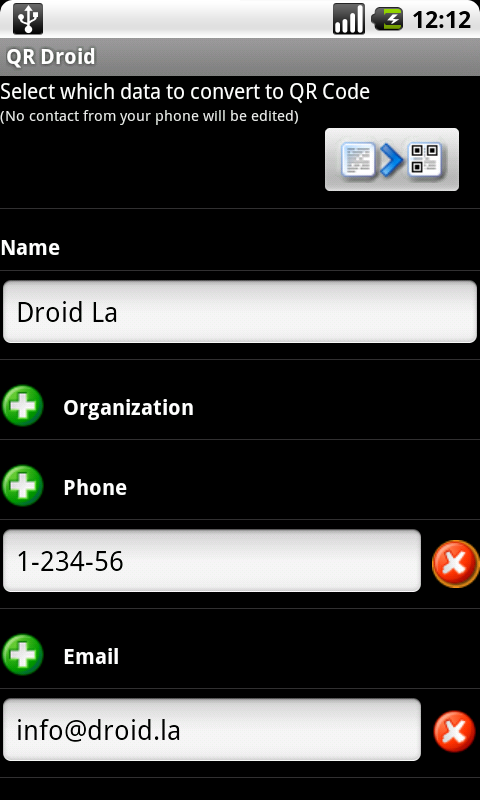 You already know I am signing up to your rss. A hipsite post right there chum. Cheers for it . Great tool. I’ve created my own shortcut and I am excited to start using it for business. Following these instructions may not work. 1. 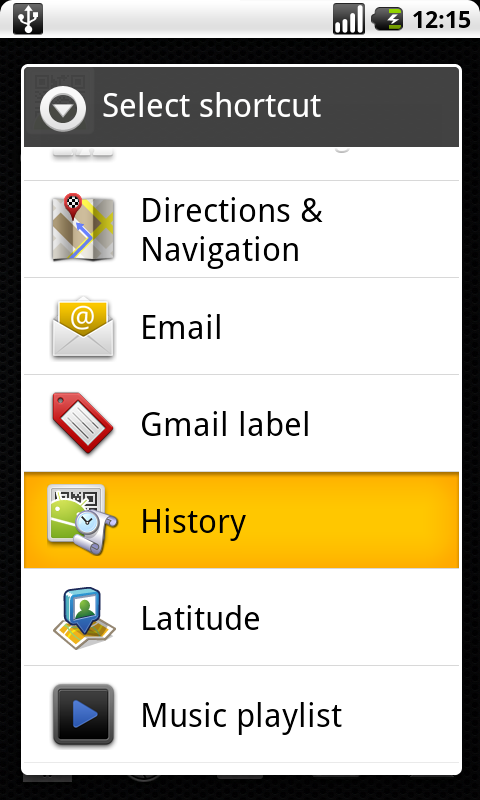 After you see your History list press Menu and select Create Shortcut. 2. 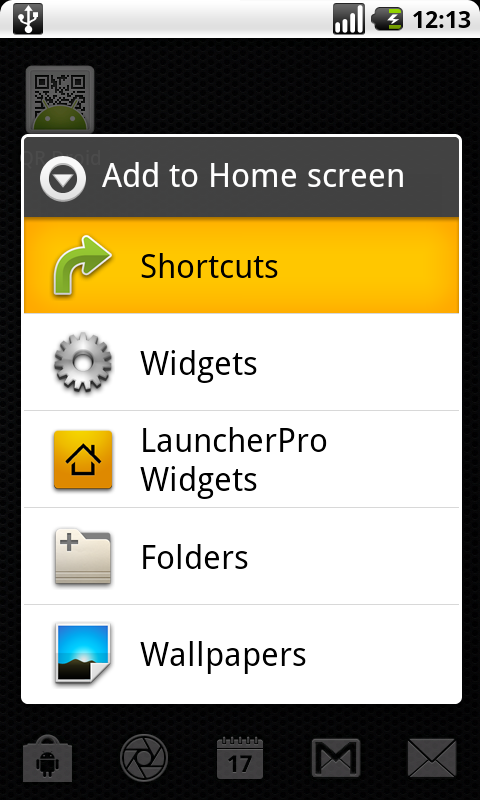 Then tap on the entry you want a shortcut for and name it and press OK.
3. You should see a brief message on the screen that says that the shortcut was created. 4. Go back to your home screen to see your shortcut icon. This should work. Try again until you get a good result.